When I first moved to Colorado in 2008, I knew I was headed into a whole new world of adventure. Honestly, I was somewhat intimidated by the size and scope of the Rocky Mountains. A "mountain" in San Diego was really nothing more than a hill. The highest elevations of my long runs in San Diego before I moved here were near 7,000'. But, when I moved to Colorado, my home was already sitting at about 6,000'. My first run in Colorado was on flat ground at the Boulder Reservoir. I remember running over a steep berm in the first week of the move...my heart pounded with this little incline and I was totally breathless. I knew this was a whole new ballgame. I gained some acclimatization by the next month but still felt the same when I ran the Silver Rush 50 mile in Leadville above 10,500'. I maintained a healthy respect for this new world and allowed my body and mind to gradually adjust to my new home. In the last 5 years, I gradually grew more comfortable with the altitude and boundless adventure found in these mountains. I am a better athlete and much more well-rounded when it comes to outdoor activities. Keeping all this in mind, it was only this past year when I started to seek the summits of the 53 "14ers" here in Colorado. The 14ers are those with a total elevation over 14,000' and at least 300' of prominence. It has been the quest of many to summit all of these "14ers". For some, it may take 20 years. For others, it is possible in just one year. I have no goals about the timeline for my adventures to the summit of every one of these. What I do know is that I will flourish in the experience and be grateful throughout. I will surely not be the same person when I finish this epic undertaking. It is truly the journey I am to enjoy. For no specific reason, I decided that I needed to document my summits in a unique way. I thought about yoga postures or handwritten signs. I thought about wearing a costume or carrying some sort of character or stuffed animal. It was then I thought about how I used to do headstands in my parents living room as a child and see how long I could remain upside down. My mom and dad always laughed and cheered me on while I tried to remain on my head. 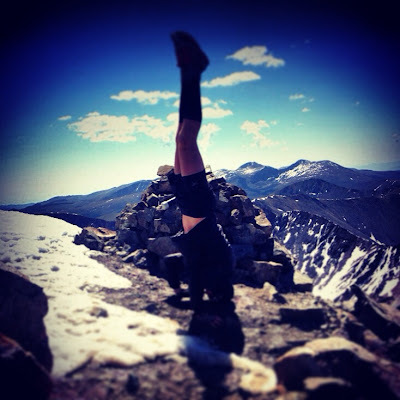 That memory is what gave me the idea to do the headstands on the summits. 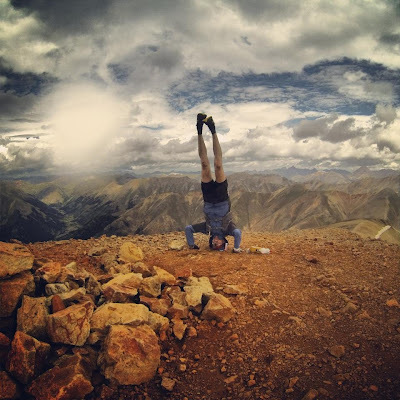 I later learned that summit headstands were not an original idea. I even found a photo of a hiker taken on the summit of a 14er over 80 years ago...he was doing a headstand. 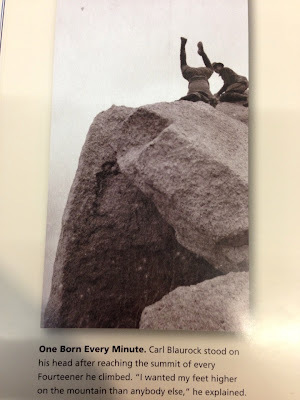 The quote in the book from this hiker was, "I wanted my feet higher on the mountain than anybody else." I was not disappointed that my idea wasn't original...in fact, I felt a connection to this hiker so long ago. I knew his mentality and I knew exactly what he was thinking when he poised on his head on that summit. It's quite possible he gets a chuckle every time I throw my legs up in the air. I imagine that many people would look at a photo of someone on a mountain summit and try to determine what they are experiencing...are they tired? Are they cold? Was it worth it? But, when someone looks at a summit photo and sees someone doing a headstand, it brings a smile to their face. I think it is because those questions are immediately answered...it is always worth it! I think it's important to point out that mountain summits can very well be a metaphor for goals in life. You may not have 14,000' mountains in your backyard. You do, however, have the opportunity to create adventure in your life and document the epic journey. Go climb your mountain and have fun along the way. Awesome Jerry. 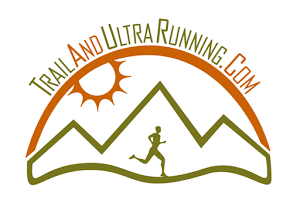 I just recently heard about this on this weeks Trail Runner Nation podcast. I envy the opportunity to partake in such a journey. How many are you up to thus far? Thanks Jon :) I officially have 4 peaks but I need to return to one for the headstand! Inspiring Jerry! Some videos are my favorite. Very good job to catch good moments to inspire!